The single biggest mistake agents make when hiring an assistant is failing to define their role.If you don’t know EXACTLY why you’re hiring help, it’s going to be impossible to target the right person. So let’s take a look at that first. You’re busy… No… you’re crazy busy! The hours morph into days then weeks and you’re in the exact same position you were in this time last year. 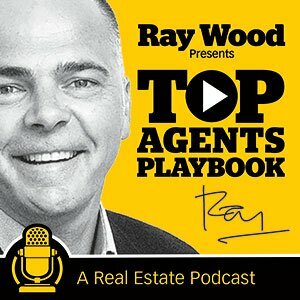 I believe the very first thing every agent looking to grow their business and their brand should do is hire a willing and capable assistant and if done correctly, the benefits are threefold: You’re client care level is dramatically increased, you have more time to do the things you want to do and you’re making more money. So what are your blue dollar tasks? Okay, you might add showing homes to a AAA, ready-to-go, ‘HOT’ buyer but all of the high earning agents I work with call that a red dollar task and refuse to go there. So… imagine if you only focused on these 5 blue dollar actions. You couldn’t help but win more listings and make more sales. Everything else (the red dollar tasks) can be outsourced. This isn’t complicated. The agents I work with who do this report an enhanced sense of clarity and sharper focus on the tasks they need to be doing. Why would you be meeting with a building inspector post-sale or uploading images to websites when you SHOULD be focusing on your money making blue dollar actions? That’s what your assistant is for. Even if you’re not looking to hire someone right now, can I suggest you write that list? It will give you clarity and focus and help you clearly understand just how many red tasks you’re distracted by. Just grab a piece of paper and write down each and every real estate related task you do in a week on a separate line. Then cross out every money making blue dollar action. That’s your job description right there! The remaining list of tasks is your assistant’s job description. Knowing EXACTLY what you want your assistant to be doing makes it so easy to hire the right person. For best results, meet (in some way) with your assistant each morning for the first month and go through what you’re doing and what they’re doing. Setting your assistant up for success is a whole new discussion and blog but the biggest mistake I see agents making when hiring help is expecting them to be mind readers. You need to take the time to carefully explain what they need to do. Hold their hand and take them through the process step-by-step. The next BIG mistake I see is a doozy! The perfectionist/control freak just can’t let go of EVERY task because NOBODY can do it quite as well. That’s 100% correct but you will not increase your income if you can’t let get and empower your assistant to complete the red dollar tasks while you spend 95% of your time on the blues. I guarantee this works if you let it work. Will there be mistakes? You bet but a well hired and trained assistant will gain confidence and take ownership of the tasks assigned to him or her. Here’s a couple of awesome tools that will help a LOT! Excellent communication is key here and there are a couple of tools I use that make it really simple. There’s a free app called VOXER and I use it all the time. I’m a partner in a real estate software company called LockedOn.com and my 3 partners and I use it for 95% of ALL communication. It simply packages a voice message so I can answer and ask questions on the run. It’s a brilliant time saver. I’m also a partner in an online creative design platform for agents called Jigglar.com and we use that all the time too. In fact, when one of the graphics team designs something new, it’s posted to Voxer for comment and tweaks. I live on this beautiful app! The other tool you will find useful…(no make that essential) when setting up your assistant is Camtasia, which lets you record a screen video showing someone how to do something. You need to buy Camtasia so try ScreenCast for free first. Or you can just use DropBox, another awesome free tool! If you’re assistant doesn’t work out or quits, you already have everything your next assistant needs! Lets say you want to show your assistant (or Virtual Assistant in Manilla) how to quickly create a Just Sold Flyer you want to get dropped around a recent sale. Here’s a screen capture video I made this week. From shooting to uploading and posting, it took less than 10 minutes. Here’s the thing… if you’re worth $90 a hour, why are you doing tasks you could get done for $10 an hour? If you’re not quite ready to go all out and hire a part or full time assistant, a Virtual Assistant is a very affordable way to get started. My Virtual Assistant is amazing and she’s only US$7 an hour! Each time I want to skill her up on a new task, I create a quick screen capture video, upload it to our private YouTube channel and send her the link. Magic!